A quick and simple wedding card. 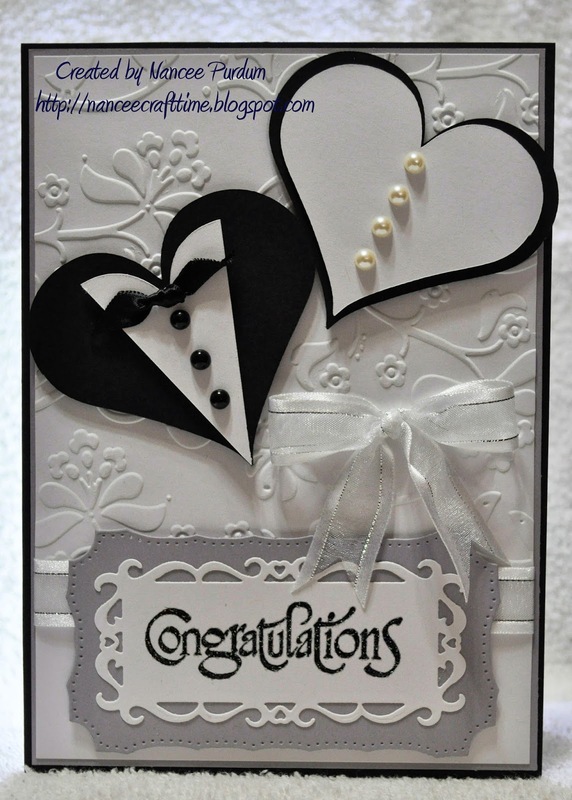 I have made wedding cards similar to this in the past, but have never posted any. This is a quick and easy card to make. I cut out the heats on my Cricut using two different sizes. I cut two out in black and two in white. I cut down one of the white hearts to make the shirt, added a small black bow, and added some black pearls for the buttons. For the female heart, I just added some pearls down the middle. I used an embossing folder to emboss the layer below the hearts. I added some ribbon and cut out the sentiment using some dies. 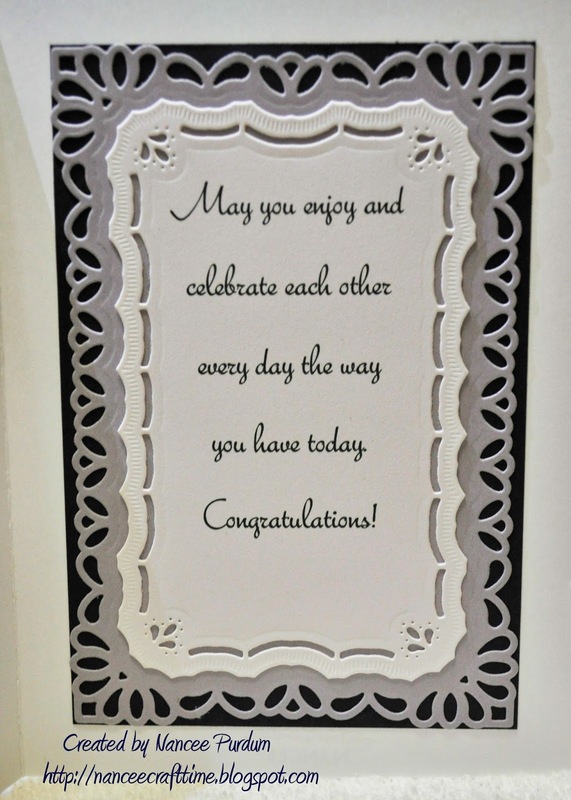 I used two different sizes of a die cut to layer the sentiment inside the card. I embossed the sentiment on the front and added some Ranger Holographic embossing powder to add some sparkle. 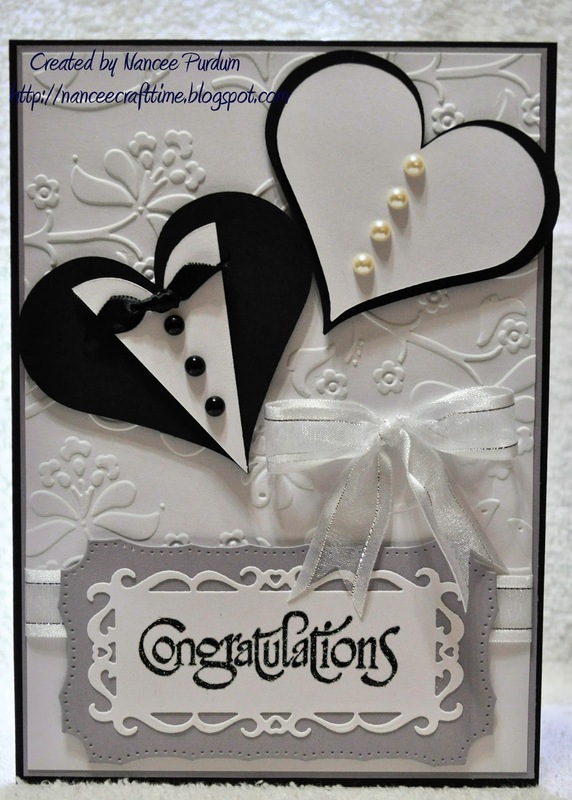 Wow this is gorgeous lovely wedding card. I never have seen this before. I just love it. This is looking perfect. Wedding is a sacred ceremony which marks the commencement of a new life for the bride and groom. In India, cards play an extremely important role so choosing the perfect Indian wedding invitation is very significant. Thanks for sharing such a lovely post. ← Valentine’s Card…..a little late!